Tect3 (tectonic-3), also known as TCTN3, is a 607 amino acid single-pass type I membrane protein that belongs to the tectonic family and exists as four altertively spliced isoforms. 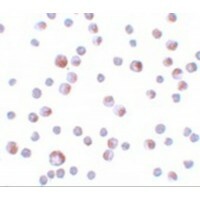 Tect3 interacts with MKS1 and may be involved in apoptosis regulation. The gene that encodes Tect3 contains approximately 31,560 bases and maps to human chromosome 10q24.1. Spanning nearly 135 million base pairs and encoding nearly 1,200 genes, chromosome 10 makes up approximately 4.5% of the human genome. Several protein-coding genes, including those that encode chemokines, cadherins, excision repair proteins, early growth response factors (Egrs) and fibroblast growth receptors (FGFRs), are located on chromosome 10. Defects in some of the genes that map to chromosome 10 are associated with Charcot-Marie Tooth disease, Jackson-Weiss syndrome, Usher syndrome, nonsyndromatic deafness, Wolman¡¯s syndrome, Cowden syndrome, Cockayne syndrome, multiple endocrine neoplasia type 2 and porphyria. Tetrahydrobiopterin deficiency and a number of syndromes involving defective skull and facial bone fusion are also linked to chromosome 10. 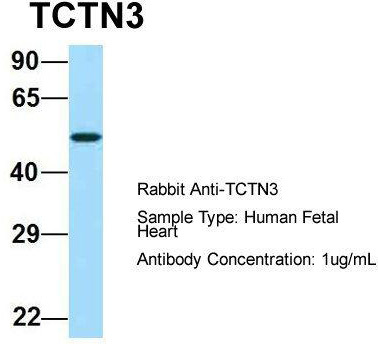 Western blot analysis of TCTN3 using rat kidney tissue lysate. 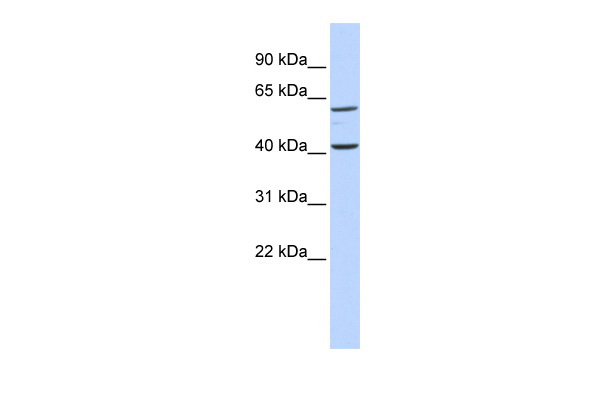 Western blot analysis of TCTN3 in HeLa cell lysate with TCTN3 antibody at (A) 1 and (B) 2ug/mL. Immunofluorescence of TCTN3 in HeLa cells with TCTN3 antibody at 20 ug/mL. 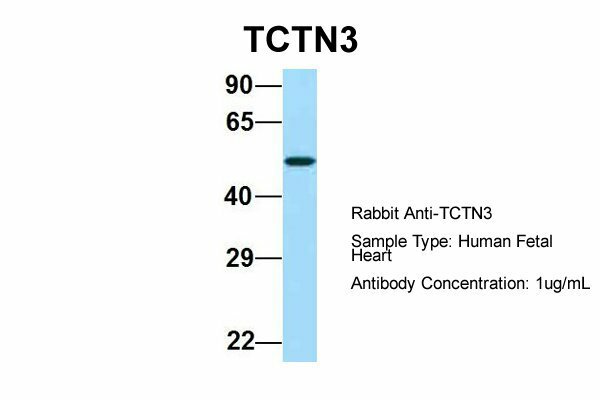 Immunocytochemistry of TCTN3 in HeLa cells with TCTN3 antibody at 4 ug/mL. 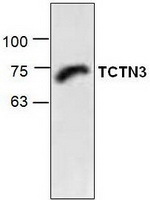 Western blot analysis of various cell lines using TCTN3 antibody. 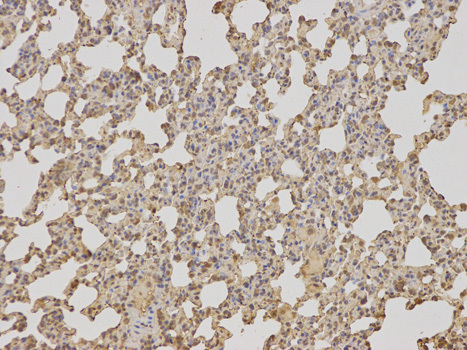 Immunohistochemistry of paraffin-embedded rat lung using TCTN3 antibody at dilution of 1:100 (200x lens).